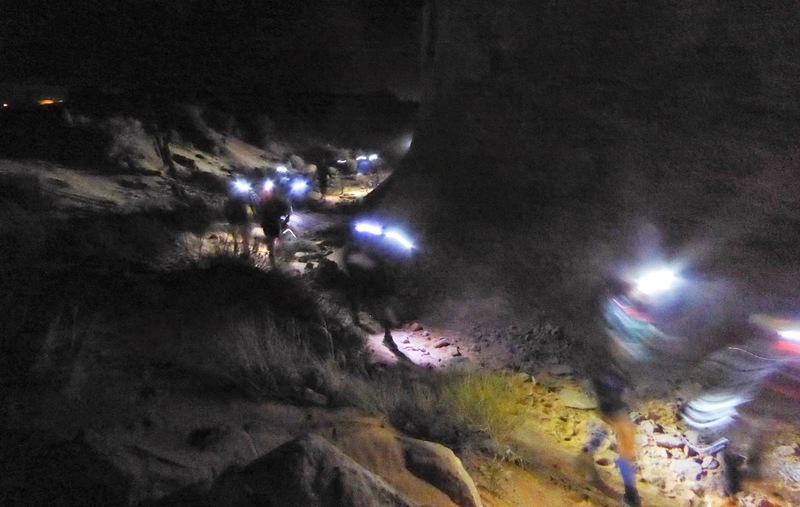 Why would more than 200 people fly across the continent, drive more than four hours through the desert, and almost get stuck in a freak snowstorm, only to spend an entire day (and then some) slogging through deep sand, stumbling over gnarly slick-rock, and climbing in and out of slot canyons? And think it was totally worth it? And do it again? Before you call them (and me) crazy, watch this video https://www.facebook.com/video.php?v=454375738048641 by Mathew van Horn and take a look at these pictures. Yes, it’s possible to see these places without undergoing such strenuous effort, but I will tell you, it is not the same. Parade of headlamps after the race start - about one hour before dawn. You can join a tour group, drive up to Antelope Canyon, and be herded through by a tour guide, or you can arrive there under your own power and experience how people for thousands of years must have felt when they arrived – exhausted – at a place that blew their minds. 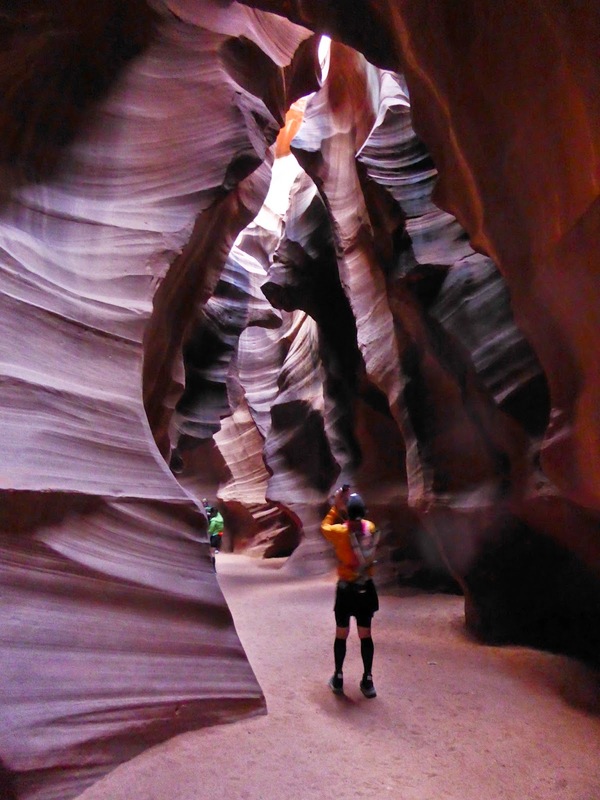 Blurry colors of a runner inside Antelope Canyon. 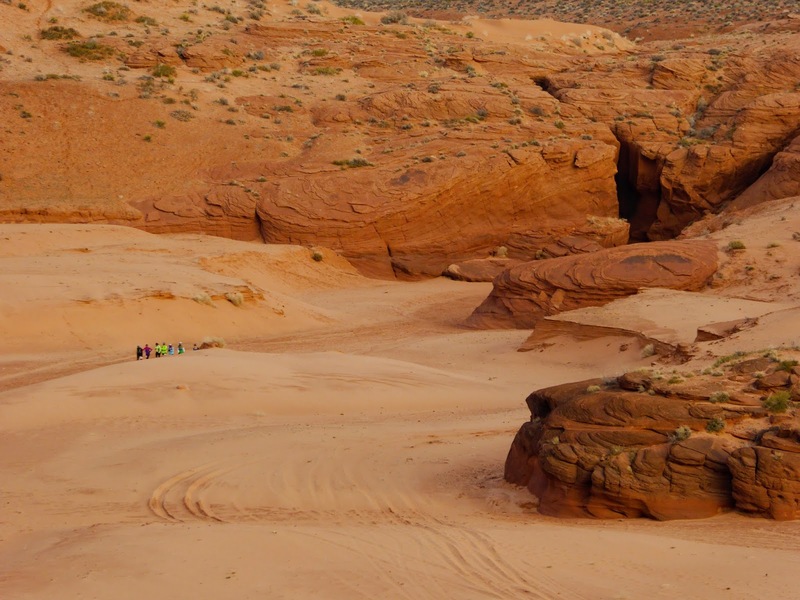 You can turn off the highway and stroll to Horseshoe Bend, or you can get there after hours of shuffling through deep sand, your senses heightened, ready to accept the immense beauty of this incredible place as a profound reward for your efforts. 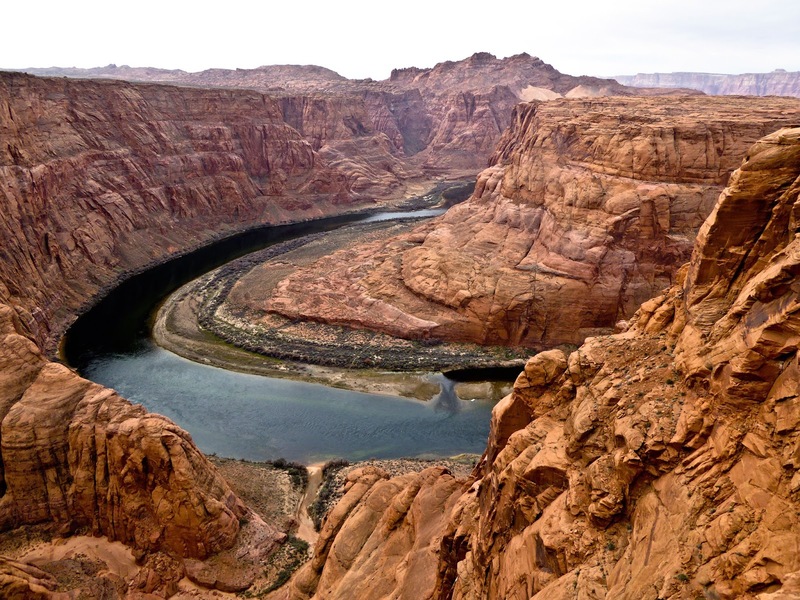 A few miles downstream from the "official" Horseshoe Bend is the next bend of the Colorado River - just as spectacular if not more so than the one that is accessible from the parking lot. If you keep going downstream for another 40-50 miles you will find yourself at the bottom of the Grand Canyon. 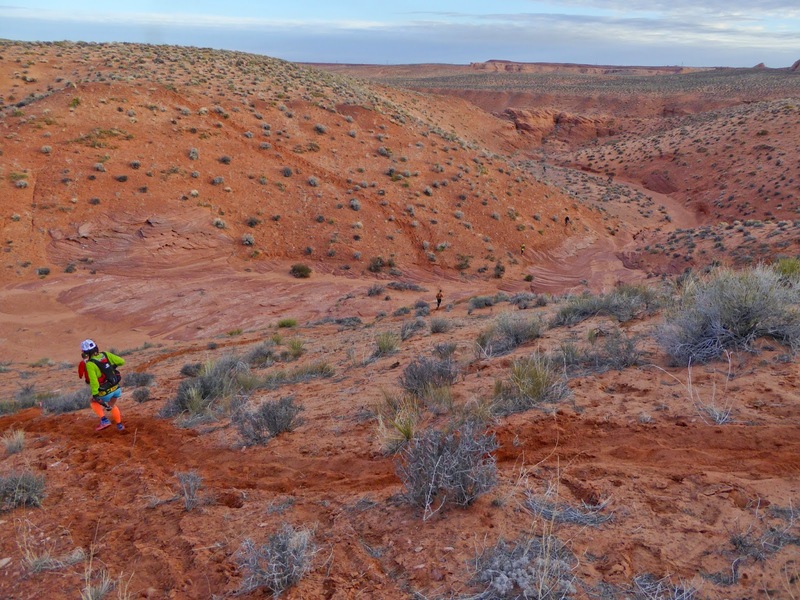 You can sit at home or in an airplane seat at sunset and pull the shades down so that the sun will not get into your eyes, or you can marvel at the glowing sky over Lake Powell, moving along the Page Rim Trail, feeling a deep sense of gratitude for your legs that have worked for 13 hours to take you there. 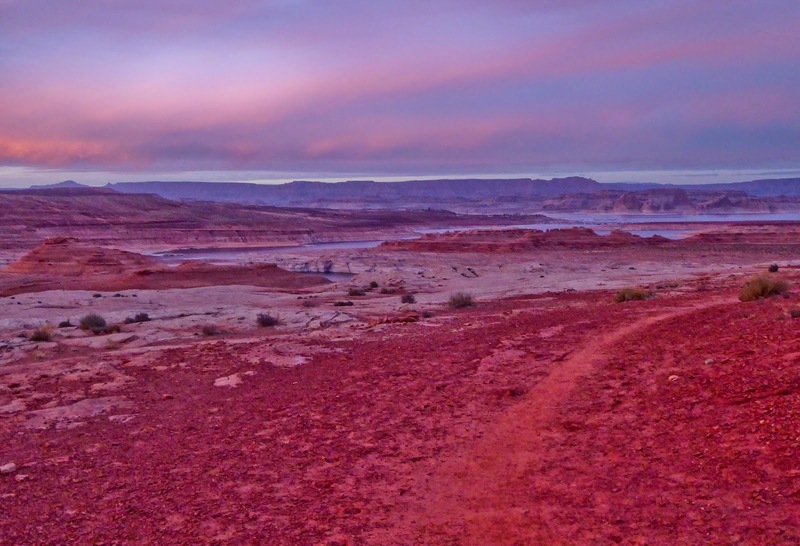 Deep red colors along Lake Powell from the Northern part of the Page Rim Trail. Anyone’s life is the sum of their experiences and these experiences are intense and worth all the effort. I enjoyed every mile of this amazing adventure. Race director Matt Gunn and his volunteers did a fantastic job. It is at events like this one that you know why you put in the training miles. And yes, I am already signed up to fly across the country again. Maybe I'll see you at the Zion 100 where I'll do my second ever 100k. 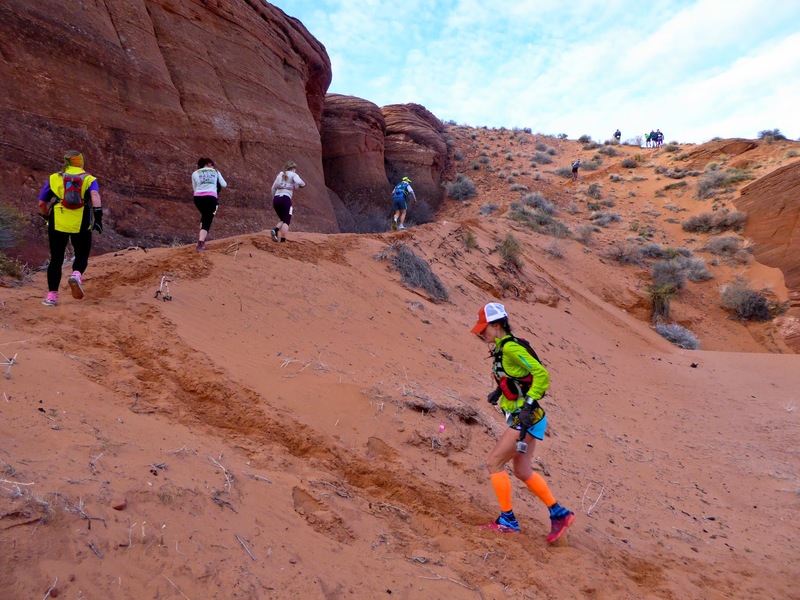 Here are a few additional pictures out on the Antelope Canyon course. Wash just south (upstream) of Antelope Canyon. The dark vertical line on the right is the entrance to the canyon that the group of runners had just came through. 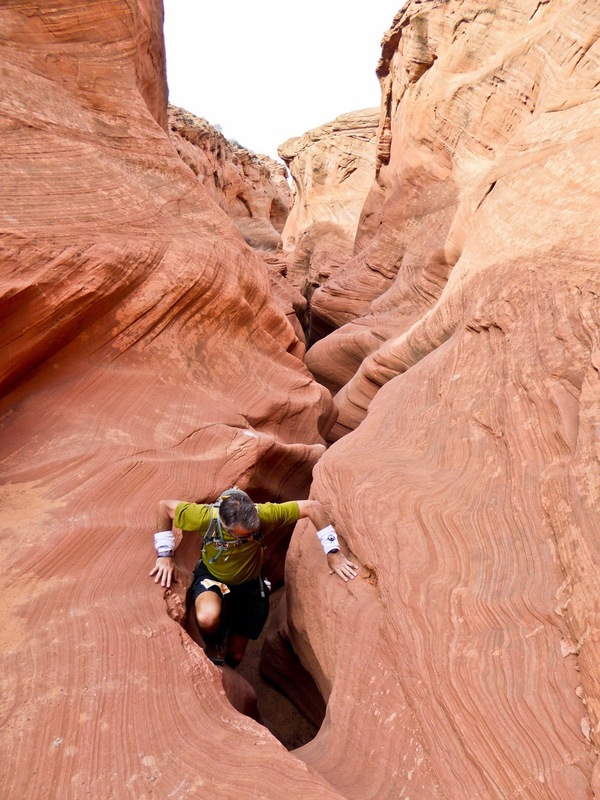 Climbing out of the wash south of Antelope Canyon. Deep sand at every step. 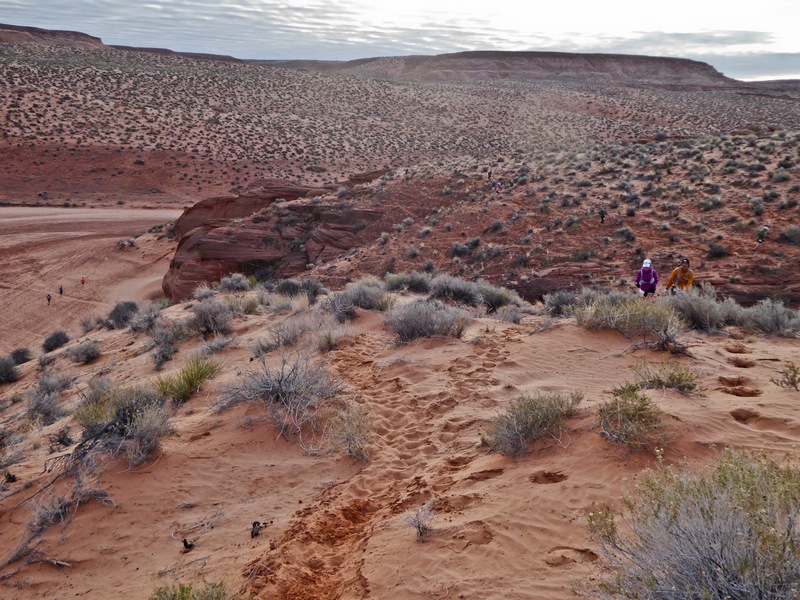 Desert running at its finest. This descent was much steeper than it looks in the picture. Running downhill in deep sand felt like skiing deep powder. Yippie! 13 runners are in this picture. Can you find them all? 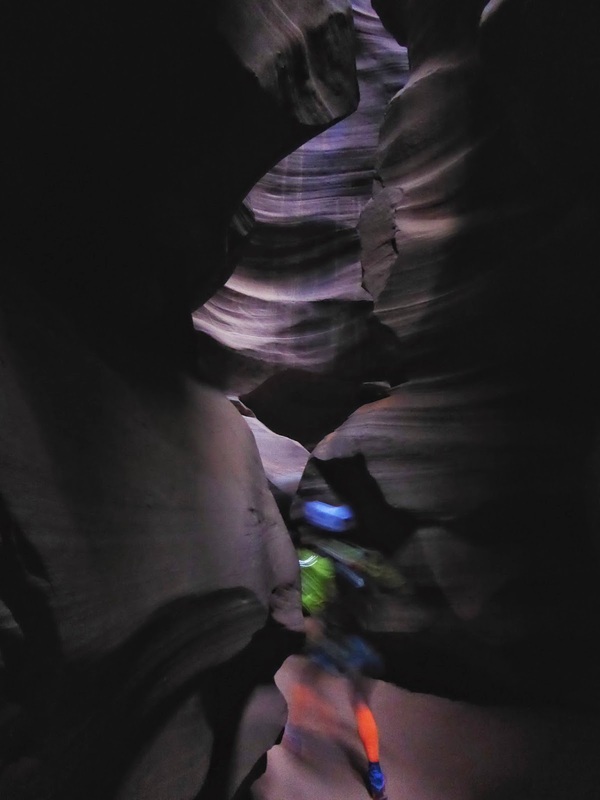 Inside Antelope Canyon. Everyone stopped to take pictures. This place is incredible. First glimpse of the Colorado River. 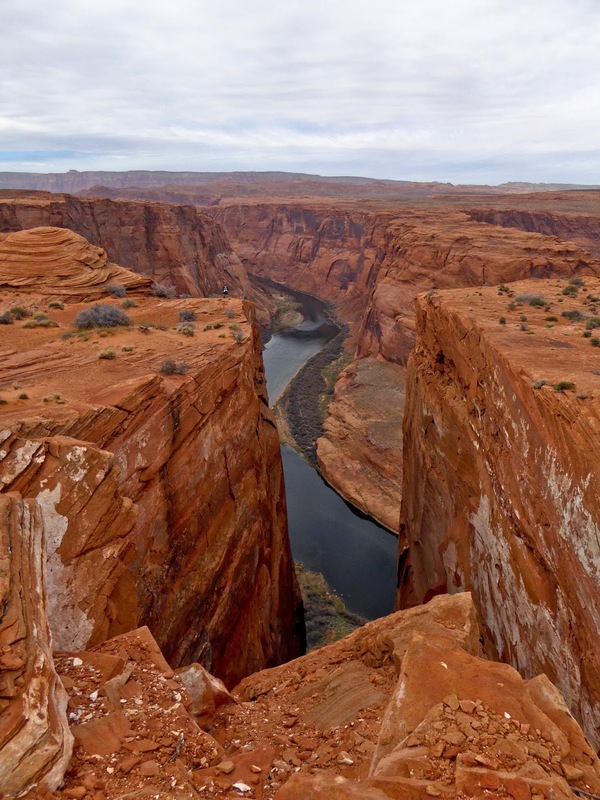 Steep cliffs towards Horseshoe Bend. The views for the next few miles were all out of this world. 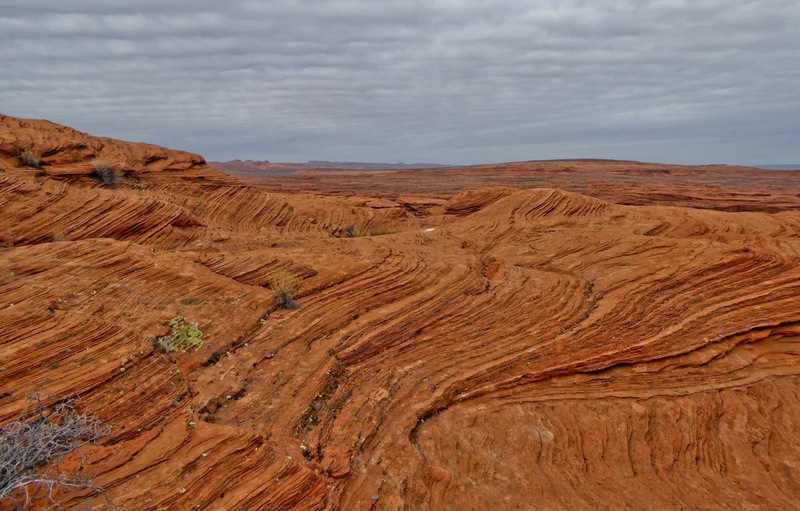 5 miles of running after Horseshoe Bend was on this slick-rock surface. It’s not really slick in the sense of slippery, but you have to watch every step lest you stumble and crash onto the rocks. At this point we were close to covering a marathon distance, which added to the challenge. 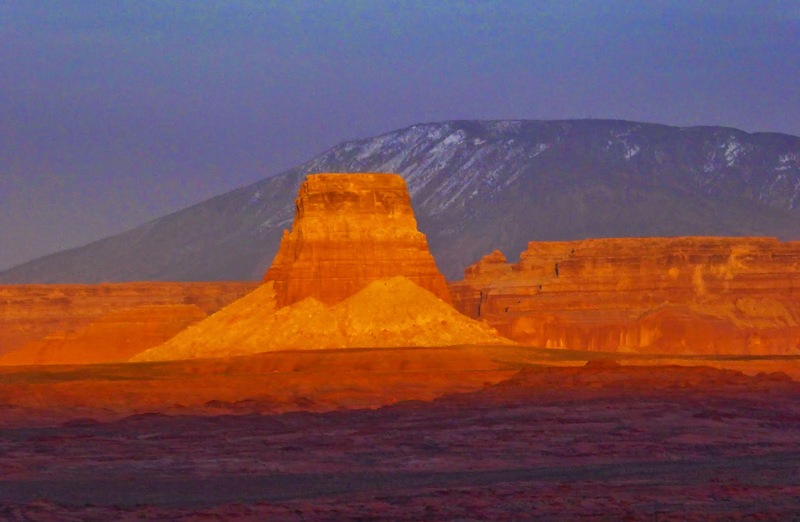 Illuminated mesa in front of snow-covered Navajo Mountain – elevation 10,348 feet (3,154m). 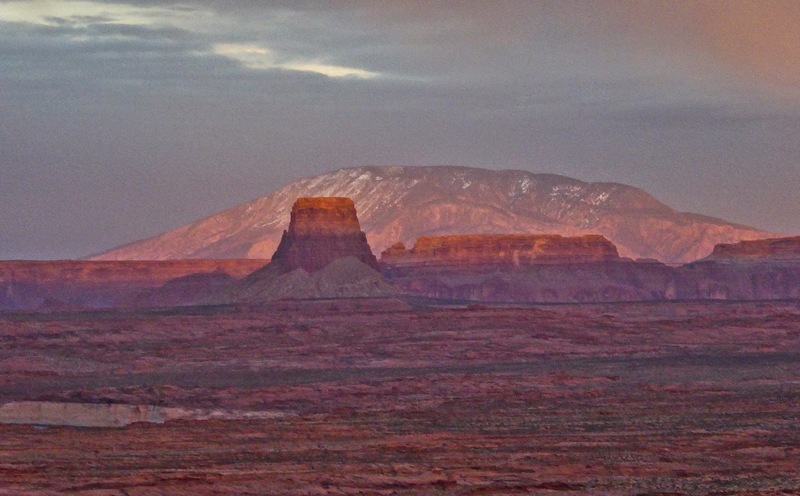 Illuminated Navajo Mountain behind the same mesa, 4 minutes later.